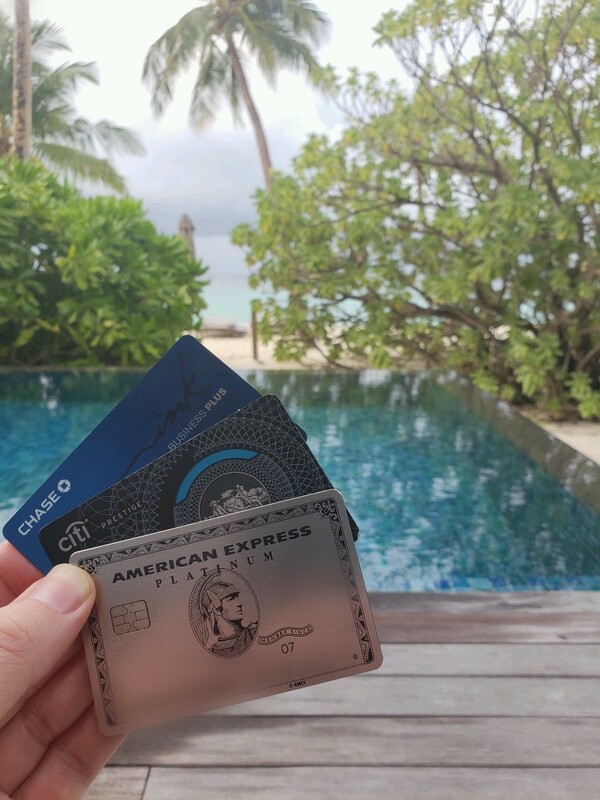 Why I Collect Amex Points, Chase Points, & Citi Points! The Three Kinds of Points I Collect using Credit Cards for the Most Part are American Express Membership Rewards, Chase Ultimate Rewards, and Citi Thank you Points. American Express, Chase Bank, Citi Bank, all have Credit Cards that allow you to collect rewards, then redeem/ use for Cash (Which i Do Not Recommend) , or use them towards a TRANSFER PARTNER ( This Is the Best Way to Redeem) . Having Transfer partners is what make these Banks and these Credit Cards SO Valuable. You can collect Amex, Chase, Citi points and when your ready to redeem/ use these points you can decide which of the TRANSFER PARTNERS you want to transfer them to. For example, American Express has many transfer partners. Have a look at the picture below. 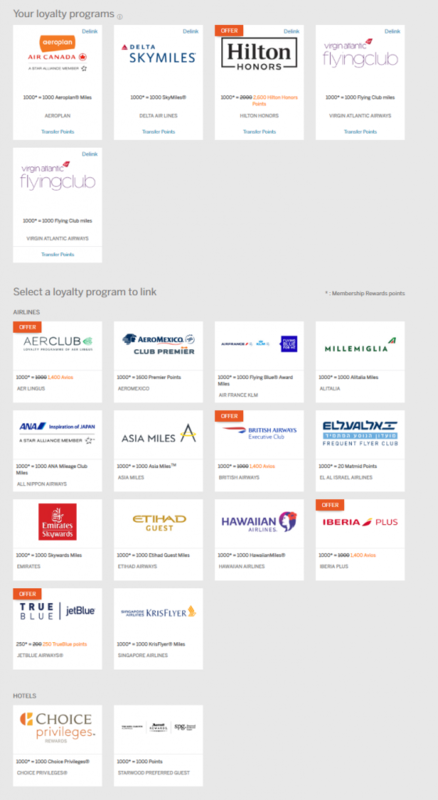 I can Transfer My American Express Membership Rewards to Any of the Below Loyalty Programs. Not only Does American Express Have Transfer Partners they also quite often have Transfer Partner Bonuses. Citi Bank also has Transfer Partner Bonuses. What are Transfer Partner Bonuses? For Example, Hilton is a Transfer Partner of American Express. The Normal Transfer Rate is 1 American Express Membership Reward Point will get you 2 Hilton Honors Points. Well, Currently there is a Transfer Bonus to Hilton. The Transfer Bonus is a 30% bonus on top of this. You can now receive for a limited time 1 American Express Membership Rewards Points will get you 2.6 Hilton Honors Points. This is a Partner transfer Bonus. These Transfer Partners and Transfer Partner Bonuses are what make American Express Membership Rewards, Chase Ultimate Rewards (Chase has Transfer Partners, But Does Not Do Transfer Partner Bonuses like Amex or Citi), Citi Thank you Points so valuable. Why I Am Not So Into Airline or Hotel Credit Cards? Earn 2X United Miles Per $1.00 at Restaurants, Hotels, and United Purchases. 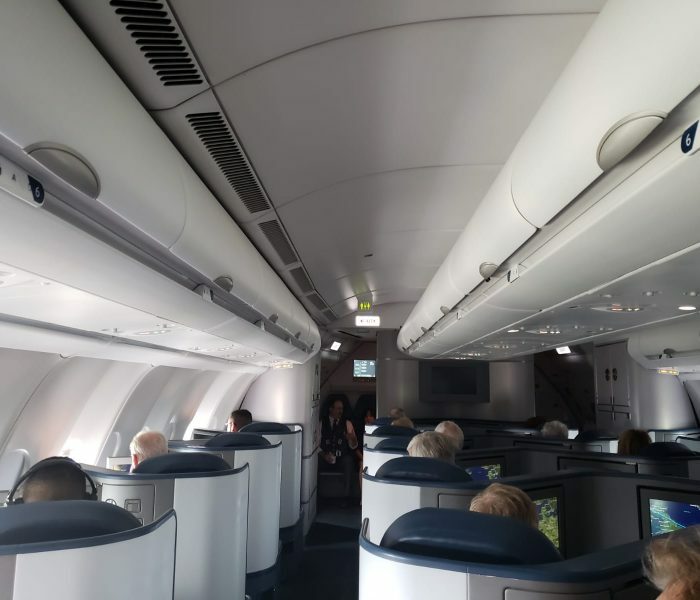 Additionally, the United Miles you accrue while spending $$ on the United Explorer Credit Card Has to to be used with United and Its Other Airline Partners and to me that is a Negative. With Amex, Chase, or Citi, Have many other options to transfer My Points too. 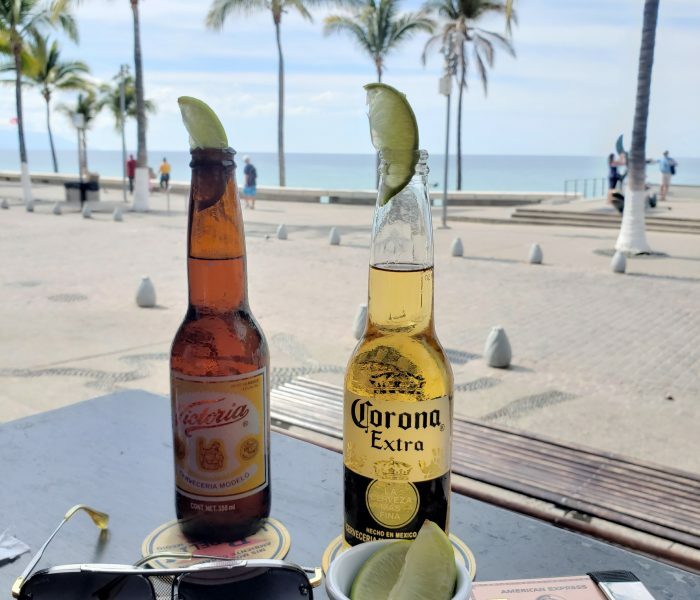 You can see that the Chase Sapphire Preferred is Similar in Categories, and Points Structure with Both Receiving 2X and 1X; however, the Chase Sapphire Preferred has some additional Travel Categories which makes the Chase Sapphire Preferred Superior. The Chase Sapphire Preferred is more superior, since it allows you to earn 2x in these additional travel categories. The Chase Sapphire Preferred also has TRANSFER PARTNERS which also includes UNITED AIRLINES. 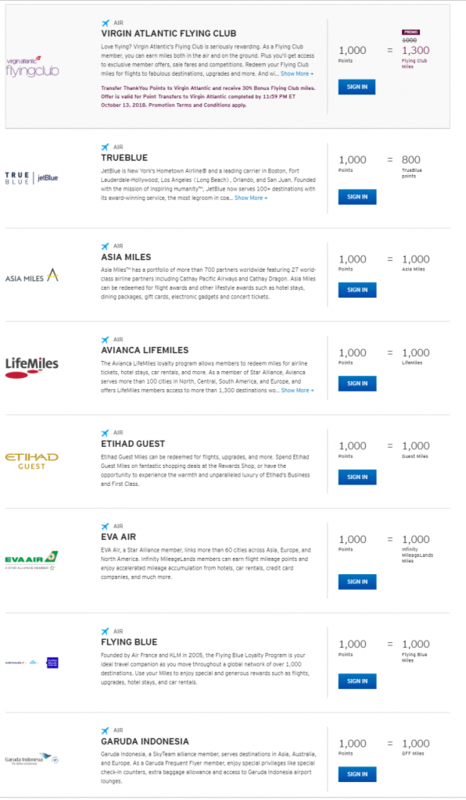 So essentially your earning United Miles if you decide to transfer your Chase Ultimate Rewards to United Airlines. Chase has many other Transfer Partners. See Transfer Partners in below picture. Being able to be a versatile having these TRANSFER PARTNERS with Chase Ultimate Rewards is why I like Chase Ultimate Rewards and the Chase Sapphire Preferred over the United Explorer Credit Card. Look at this list of Chase Partners Below. Most transfer rates are 1 Ultimate Reward to 1 Point (United, Hyat Hotels, British Avios (points), Virgin Atlantic Miles, Singapore Kris Flyer Miles, ETC). Citi also has a Great Transfer Partner List. See Citi Transfer Partner List Below. If you Notice Virgin Atlantic Flying Club has a bonus offer right Now. 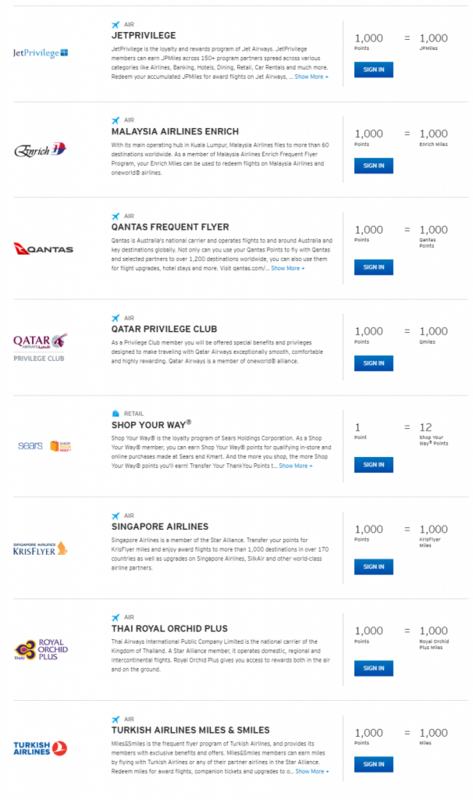 1 Citi Thank you Point will get you 1.3 Virgin Atlantic Club Miles. In Conclusion, American Express Membership Rewards, Chase Ultimate Rewards, and Citi Thank You Points are very versatile, more so, then your typical Airline Credit Card or Hotel Credit Card. This is mostly because of the amazing TRANSFER PARTNERS that American Express Membership Rewards, Chase Ultimate Rewards, and Citi Thank You Points Offer. Citi Prestige (No Longer Available; However, Citi Bank Will be updating us with a New Credit Card Shortly to either Replace or Refresh the Citi Prestige).